Corey Conners entered the final round trailing Si Woo Kim by one stroke before a 6-under 66 led to a two-stroke victory. After beginning the final round tied with Zach Johnson, Andrew Landry posted a 4-under 68 (including three birdies to start the round) to post his first PGA TOUR victory at the 2018 Valero Texas Open. Kevin Chappell made a birdie putt on the final hole to win the 2017 Valero Texas Open. 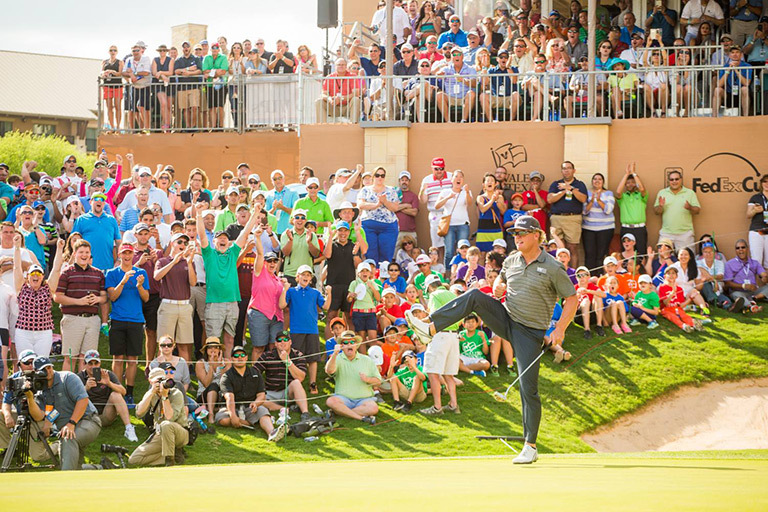 Charley Hoffman made a 9-foot birdie putt on the final hole to win the 2016 Valero Texas Open. 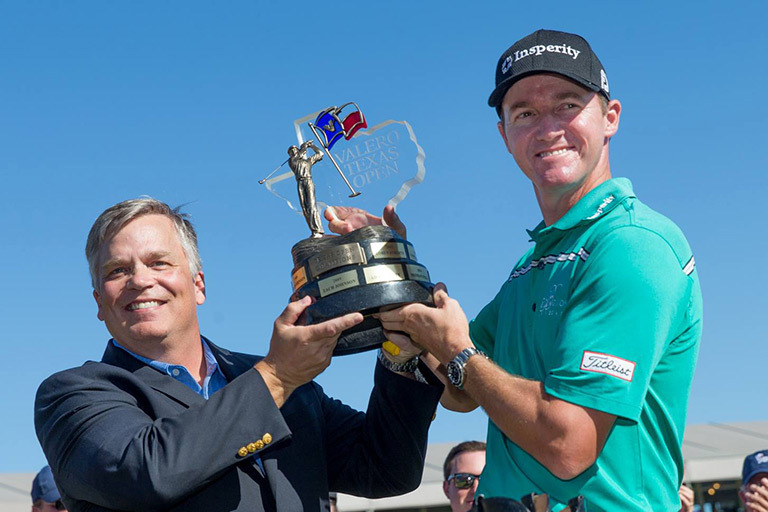 FedExCup point’s leader and Boerne (TX) resident Jimmy Walker began the day four strokes ahead of Jordan Spieth and, despite a pair of early bogeys on Nos. 4 and 7, was never threatened and went on to a 2-under-par 70 and a four-stroke victory over Spieth for his second victory of the 2014-15 campaign. 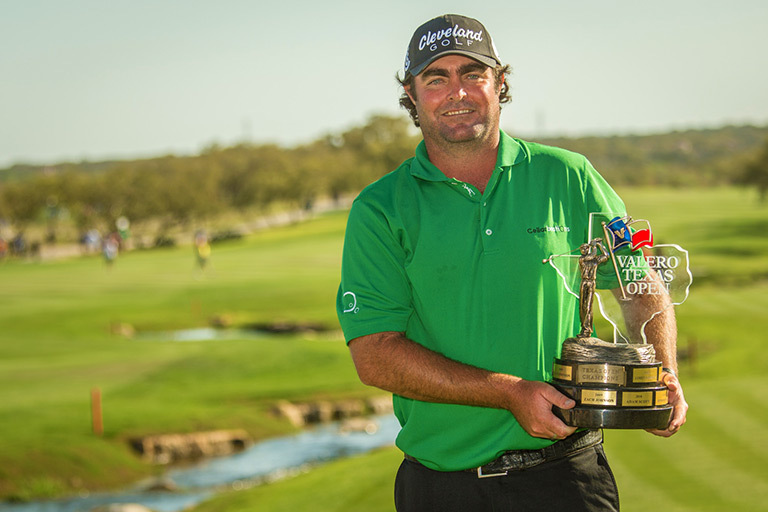 North Texas resident Steven Bowditch scored his first-ever PGA TOUR victory at the Valero Texas Open, shooting a final round 76 to hold off Will MacKenzie and Daniel Summerhays by a single shot at the lush AT&T Oaks course at TPC-San Antonio. Bowditch, an Australian native, fired the highest final round winning score since 1926 VTO winner MacDonald Smith, but rolled in a clutch final hole put to clinch the victory. He became the fourth international player to win here since 1970, but the third in the last five years. With a high-caliber player field marching into Sunday, the gallery was excited to see PGA TOUR stars battle it out for one of the heaviest trophies on the PGA TOUR. Rory McIlroy fought on the heels of Martin Laird until the last putt dropped. But it was Laird that won and earned his third career PGA TOUR victory at the age of 30 years, 3 months and nine days in his 134th career start on TOUR. He previously won the 2009 Shriners Hospitals for Children Open and 2011 Arnold Palmer Invitational. With his win, Laird moved inside the top-20 in the FedExCup standings to No. 18. Former British Open winner Ben Curtis captured his first PGA TOUR victory in six years as he recorded a two-shot victory over rookie Jonn Huh and TPC-SA Oaks single round record holder Matt Every. Curtis picked up his fourth PGA TOUR win by overcoming Every's first round 63 with back-to-back rounds of 67, then holding on for the win on a sunny and windy weekend. It was his first-ever visit to San Antonio but he made it a successful one with the win. 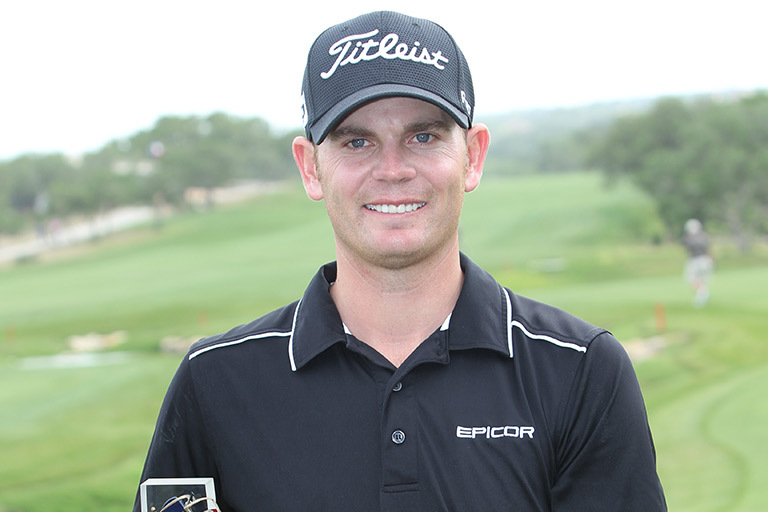 Seeing the championship TPC-San Antonio AT&T Oaks course for the first time, rookie Brendan Steele made himself right at home with a one-shot victory over fellow rookie Kevin Chappell and veteran Charlie Hoffman. Steele's winning score of 280 was the highest since Wiffy Cox won in 1934. Kevin Na set a Valero Texas Open record with a 16 on the par 4 9th hole Thursday, the second highest single hole score in PGA TOUR history. 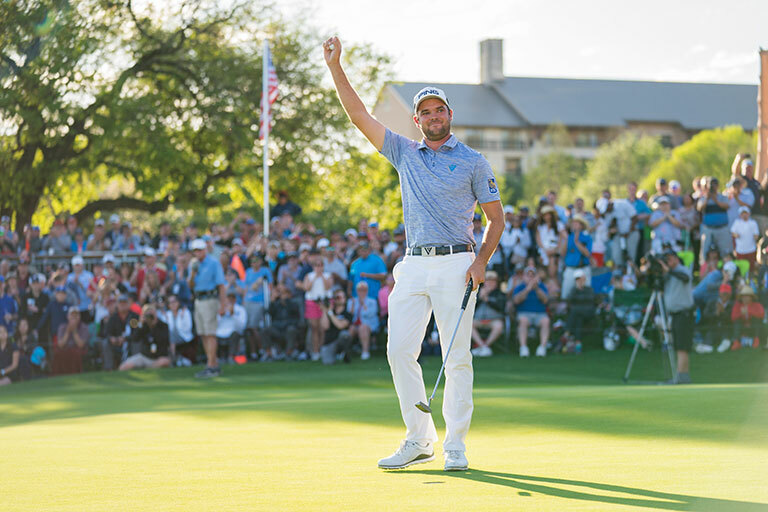 Australian Adam Scott made his first visit to San Antonio a successful one as he captured the first event ever held at the new TPC-San Antonio Oaks Course with a one-shot victory over Sweden’s Fredrik Jacobson. The tough conditions pushed Scott’s winning score of 274, nine shots higher than in 2009, won by Zach Johnson. Scott trailed by five shots after the first day and didn’t take the lead until his final round 67, part of a rare 36-hole final day, thanks to a Friday rainout. 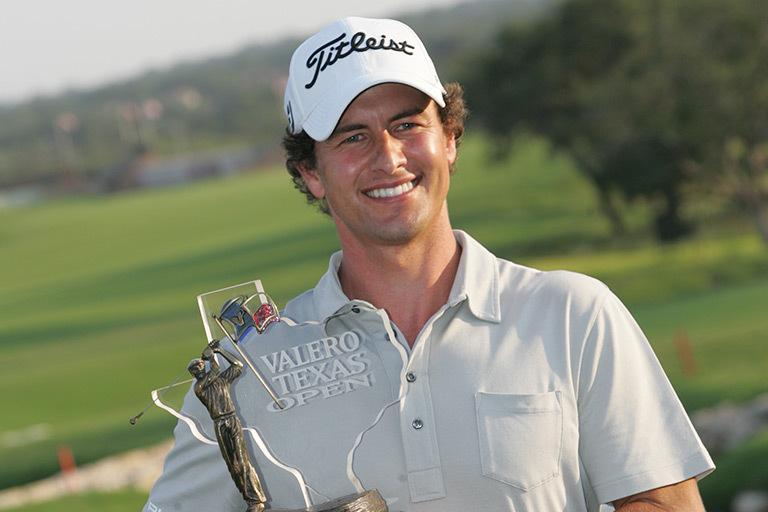 Australian Adam Scott completed the third leg of his Texas PGA TOUR victory lap, winning the Valero Texas Open in his first-ever appearance in San Antonio. 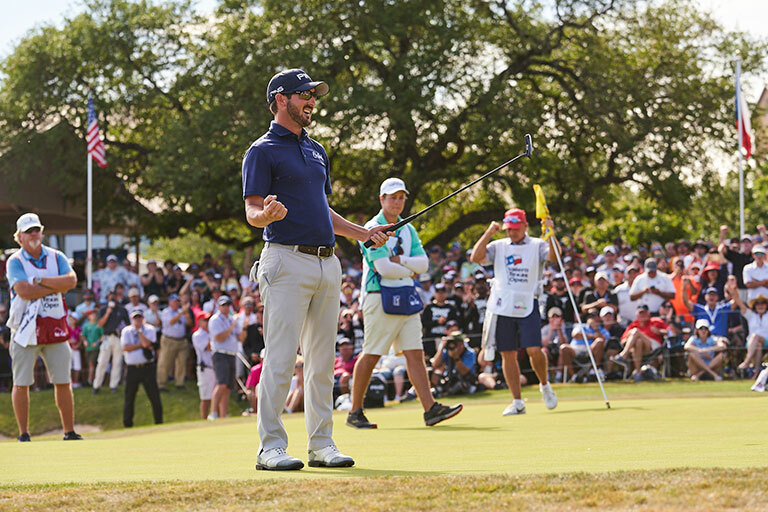 It was the first-ever event held at the new TPC-San Antonio which provided much tougher conditions, and Scott’s winning score was nine shots higher than the year previous with Zach Johnson. Rookie Brendan Steele becomes the fourth rookie in 40 years, the first since 2006 to capture the Valero Valero Texas Open title. His one-shot win produced a 72- hole score of 280. The highest winning score in 77 years. Kevin Na set a jaded Valero Texas Open scoring record with a 16 on the par 4 9th hole. 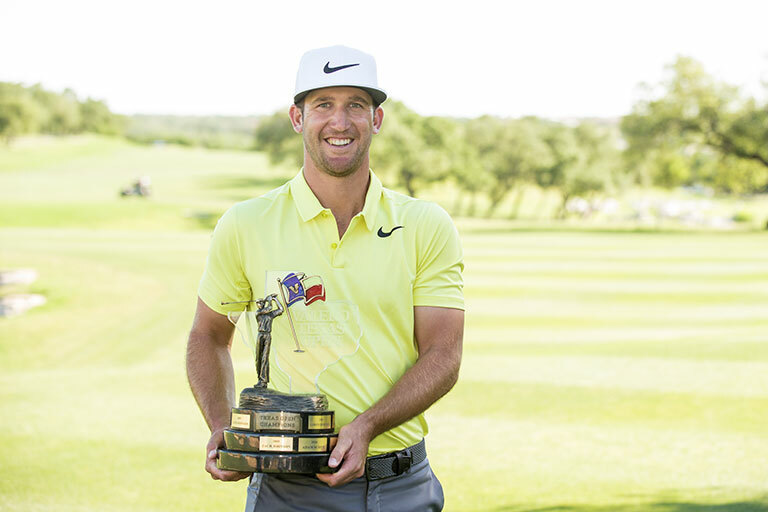 Former British Open Champion Ben Curtis finds the Valero Texas Open is once again the restarter of great careers, as he wins for the first time in six years, capturing his first VTO title in his first-ever visit to San Antonio. It's his fourth PGA TOUR victory as he holds off rookie John Huh and Matt Every by two shots. 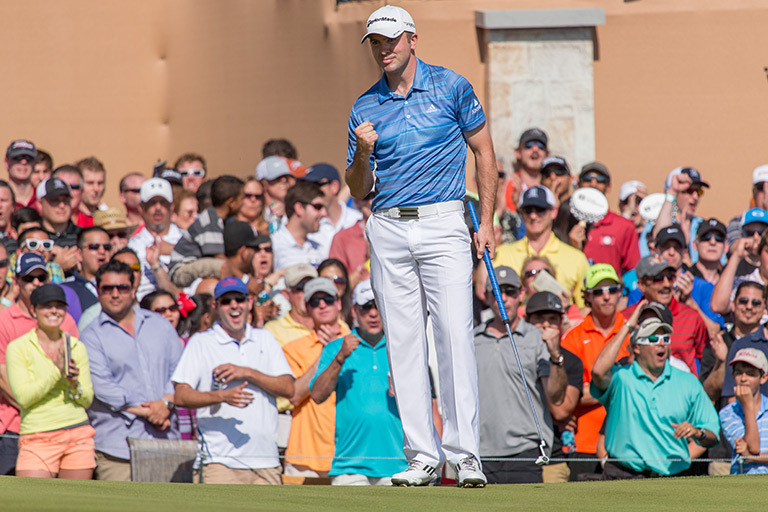 Martin Laird birdied his last three holes Sunday to tie the TPC San Antonio (AT&T Oaks Course) course record with a 9-under 63 to win by two strokes over Rory McIlroy. With his win in San Antonio, Laird extends his PGA TOUR exempt status through 2015 and earned the final spot in the 2013 Masters Tournament. Laird became the first player since Johnson Wagner to earn the final spot into the Masters by virtue of a win the week before (2008 Shell Houston Open). Australian native, Steven Bowditch was the only player in the field to record three sub-70 rounds in the first 54 holes and managed to win by a single stroke on Sunday. It was his first PGA TOUR title and also earned him his first trip to the Masters Tournament. 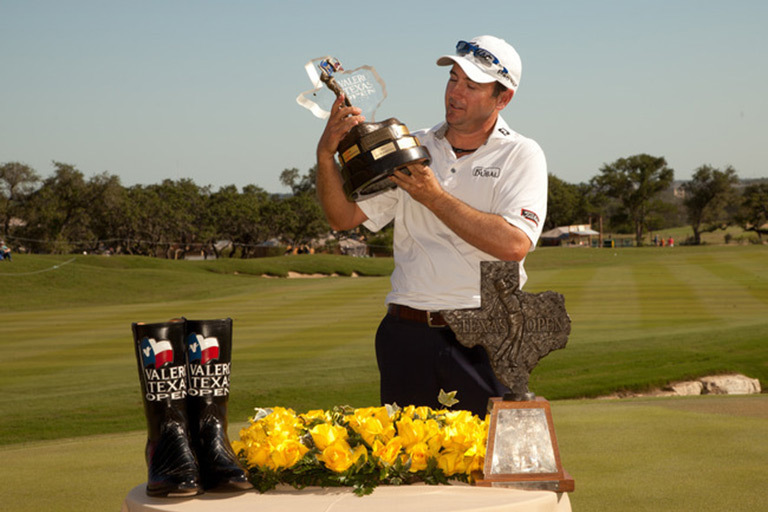 Bowditch is the 17th Texas resident to win the Valero Texas Open and presently resides in Dallas.